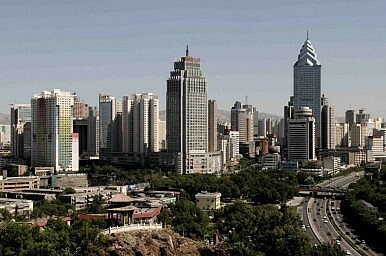 The 2009 Urumqi riots marked a watershed for Beijing’s policy towards the region. Largely ignored by the capital as a backwater that was ruled over by strongman governor Wang Lequan, the scale of the riots in Xinjiang obliged then President Hu Jintao into the embarrassing situation of having to leave a G8 Summit in Italy to come and take charge of the situation. In the wake of the rioting, numerous senior security officials in the province were sacked and a year later the 15-year provincial head Wang Lequan moved back to Beijing. At around the same time in 2010, the government announced a new strategy towards Xinjiang, focused heavily on economic investment and developing the province’s trade links with Central Asia. This entry was posted in Xinjiang and tagged China, China-Afghanistan, Xi Jinping, Xinjiang on July 25, 2014 by Raffaello Pantucci. Tashkurgan is a small town of about 40,000 people (or over 60,000 population if it includes Chinese military personnel, tourists, and businessmen), situated in the south-eastern corner of the Chinese province of Xinjiang. The town represents the seat of the Tashkurgan Tajik Autonomous County, which borders Pakistan, Afghanistan and Tajikistan. One of China’s remotest counties, placed in a barren high plateau at over three thousands meters above sea level, Tashkurgan has a long and rich history. Here were excavated artifacts produced by some of the earliest cultures of the region. It is believed by some that Tashkurgan – which means Stone Fortress (or Tower) – was in fact the stone tower mentioned by Ptolemy, where western and Chinese merchants performed their trade exchanges. Nevertheless, Tashkurgan’s role as a market town seems reinvigorated today by the presence of the Karakoram Highway (KKH), the road connecting Kashgar to Islamabad that represents the backbone of the projected “China-Pakistan Economic Corridor”. A legacy of the legendary Silk Road, the KKH was opened to civilian traffic in 1982 and has since brought immense changes to Tashkurgan, a once forgotten outpost of the PRC. This entry was posted in China, Dispatches From The Road, Karakoram Highway, Khunjerab Pass, Publications, Tashkurgan, Xinjiang and tagged China, Karakoram Highway, Khunjerab Pass, Tajikistan, Tashkurgan, Xinjiang on June 27, 2014 by Raffaello Pantucci. 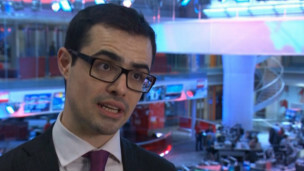 Transition in Afghanistan: Filling the Security Vacuum – The Expansion of Uighur Extremism? This paper aims to map out as clearly as possible the current threat from Uighur extremist groups in Afghanistan and Pakistan, and ascertain whether these groups will develop into a regional threat over the next few years. It will be argued that Uighur Sunni-jihadist groups in Afghanistan and Pakistan are unlikely to be able to fill the security void in either country after the West’s withdrawal. Traditionally, these groups have struggled to gain traction within the global jihadist community. China has also done an effective job of building regional relationships that means local governments would block their ascension into power. Furthermore, the number of Uighur militants remains marginal, suggesting that, at worst, they might be able to take control of some small settlements. 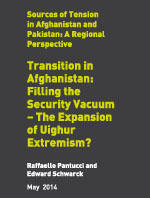 The paper will outline what is known about the current state of the Uighur Sunni-jihadist community in Afghanistan and Pakistan; present the available information on their operations; highlight what the Chinese state is doing regionally (and – briefly – at home) to mitigate the threat, and offer concluding thoughts on the likelihood of a major Uighur threat emerging in either Afghanistan or Pakistan, post-2014. This entry was posted in Afghanistan, China and tagged China, China-Afghanistan, Uighur, Xinjiang on June 4, 2014 by Raffaello Pantucci. This entry was posted in China and tagged China, Uighur, Urumqi, Xinjiang on June 3, 2014 by Raffaello Pantucci. A gentle rapprochement is under way between China and the United Kingdom. After almost two years in a diplomatic freeze, David Cameron visited Beijing last month and made an effective play for more trade. For the UK, this is a moment to recalibrate its relationship and play a role in coaxing China towards becoming a responsible international stakeholder. 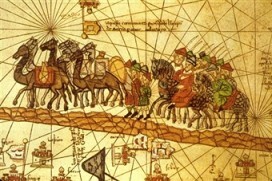 One route to that end is through understanding and working with China’s ‘march westward’ strategy, which has at its heart the re-activation of the ancient Silk Road linking China to Europe. This entry was posted in China, Regional Play and tagged Central Asia, China-Afghanistan, China-Russia, EU-China, Xinjiang on January 10, 2014 by Raffaello Pantucci. China Is Pivoting to Central Asia—But Is Washington Paying Attention? This entry was posted in Publications and tagged Central Asia, China, Kazakhstan, Kyrgyzstan, SCO, SCO Summit, Shanghai Cooperation Organization (SCO), Turkmenistan, Uzbekistan, Xinjiang on October 28, 2013 by China in Central Asia.